Community radio station Mix 93.8 FM welcomes presenter Poppy Ntshongwana to its line-up. Ntshongwana steps into the role as daily lunchtime host following a brief hiatus from radio. According to the station, this is the first step in a refreshed approach to programming that will see the station enhance, align and reimagine its on and off-air product over the next few months. "We are moving towards a more inclusive, audience and community-driven programming approach," says general manager, Kudzayi Tiribabi. "Following months of research to better appreciate our listeners and our broadcast footprint, Mix 93.8 FM’s strategic impetus was shaped to match the needs of our current audience as well as build outward to attract growing numbers of listeners," says Tiribabi. "Welcoming Poppy to the line-up manifests the station’s new approach. Her popularity across all demographic groups, along with an engaging on-air persona, is a great match for the Mix 93.8 FM product," adds Tiribabi. Ntshongwana spent more than a decade on commercial station 5FM, manages her own digital production company, Poppy Ntshongwana Communications, and is a DJ and MC on the circuit. "Life is an adventure, and radio is the catalyst for my passion. 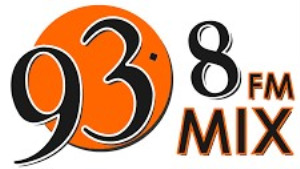 I am really looking forward to joining the Mix 93.8 FM family, and positively contributing to the station’s vision, while making lunchtime radio fun with great music, good content and the ‘X factor’ that has, to date, made Mix 93.8 FM such a popular choice on the airwaves," says Ntshongwana. Tiribabi says that, over the coming months, the station will gain further momentum as it plans to continue upping the ante. "Across every aspect of the station, there will be enhancements; some subtle and others really bold. But the bottom line is that, over the next 12 months, our plan will see Mix 93.8 FM come into its own as a radio station that informs, entertains and is even more embedded in the community that it serves. It is an exciting time for us, our listeners and our commercial partners," concludes Ntshongwana. For more information, visit www.mixfm.co.za. You can also follow Mix 93.8 FM on Facebook or on Twitter.